Our range of products include centrifugal lube oil cleaner (ft025) and centrifugal lube oil cleaner (ft060). We are engaged in offering Centrifugal Lube Oil Cleaner (FT025). 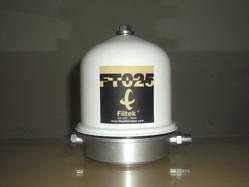 FT025 centrifuge oil filter mainly used for the oil tank capacities from 15 liters to 25 liters. It can separate the finest particles upto 1 micron from the oil. It is available with and without cut off valve (C.O.V) setting. We are engaged in offering Centrifugal Lube Oil Cleaner (FT060). 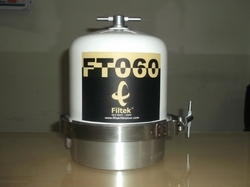 FT060 centrifuge oil filter mainly used for the oil tank capacities from 25 liters to 90 liters. It can separate the finest particles upto 1 micron from the oil. It is available with and without cut off valve (C.O.V) setting. Looking for Centrifugal Lube Oil Cleaner ?